Mumbai is a shopper’s paradise, no matter what you’re looking for and no matter your budget. This city offers the best of street shopping, the comfort of mall hopping and the essence of the city with signature offering. So whether you’re looking for stylish clothes, sarees, local spices, antiques, souvenirs or even a leather jacket, Mumbai will fulfil all your shopping needs. 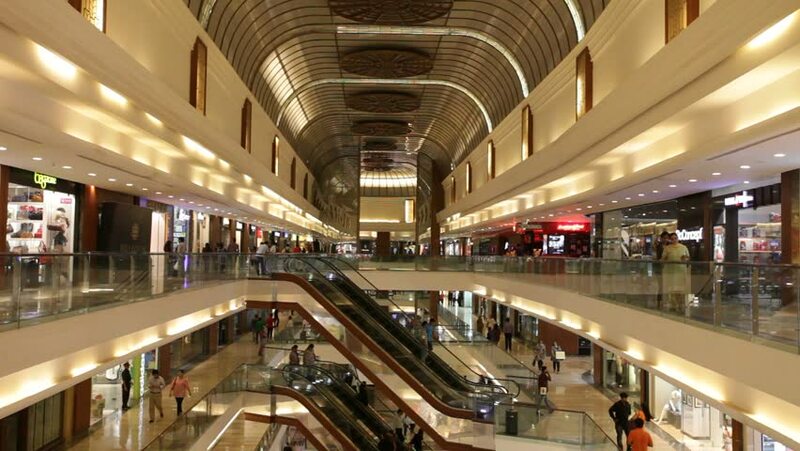 Take a look at the list below to know which are some of the most popular shopping destinations in Mumbai. This ultra chic mall is Mumbai’s one stop destination for high end luxury brands. Here you will find the best of Indian attire, international labels such as Gucci, Burberry, Canali as well as reputed makeup brands such as Clinique, MAC, Sephora and Kiehl’s. Here you can also grab a bite, enjoy an ice-cream or even dig into huge burgers at TGIF. It’s one of the city’s most popular style hubs. One of the best places to visit in Mumbai for shopping. Right next door to the Palladium, this mall offers the best of high street brands such as Levis, H&M, Marks & Spencer as well as shoe brands such as Aldo and Nine West. There are also a wide variety of eating options from Indian (try Zaffran) to fast food and even thali options. The large courtyard occasionally has events or bazaars and there’s even a kids play area with a few rides. This Kurla mall is great fun for the whole family. It offers some of the biggest high street brands such as Zara, Forever21 and H&M as well as department stores and local favourite such as FabIndia. There is also a wide selection of restaurants to grab a bite at. Their upper levels have an entertainment area that is a big hit with children and include a haunted house, mirror room and other attractions. One of the premier shopping markets in Mumbai. This mall is a favourite for locals as it offers a wide selection of brands for men and women. With a nice clean layout and ample parking, getting here is easy as it is just off the highway. You can spend the day here just window shopping. Their Forever 21 branch, a hit with those looking for stylish clothes, is one of the largest. They also have all the big international fast food chains. This entire stretch of road offers great deals on shoes and apparel. Some of the best things to pick up here include Indians clothes, bags and suitcases. Here you will also find a number of high end brands as well as fast food eateries. It gets very crowded on the weekend so do try to visit during the week. 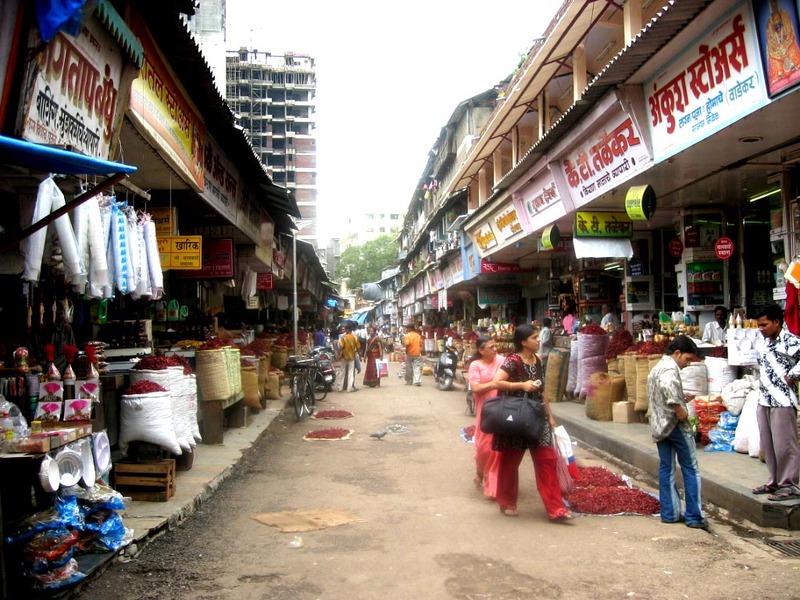 This is one the of the most iconic street markets in Mumbai and is visited by tourists and locals alike. Here you will find everything from shirts and dresses to shoes and accessories. 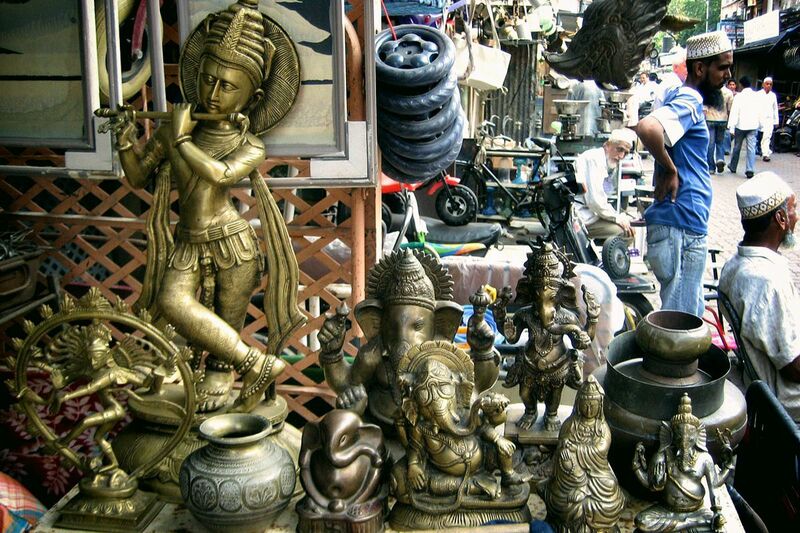 But you can also spot quaint Indian items and trinket depicting the city that make for perfect souvenirs to take home. Indulge in the latest styles at reasonable prices at this bustling market. They have a range of stylish clothes on offer and their men’s selection is especially tempting. But there’s one thing this market is famous for: the sneakers. Bright, printed, white or sports, they have it all. It can get crowded in the evening so try to head there earlier. The market translates into Market of Thieves and it is one of Mumbai’s busiest markets, selling reasonably priced vintage items, antiques and first copy products. This is the place to go to for one-of- a-kind finds. If you find something you like, we recommend you pick it up as it may be hard to come by again. And always remember to go in with a strong bargaining game. If you’re searching for wholesale goods, this market is the one for you. Although it is most popular for its fruits, veggies and groceries at reasonable prices, this lively market also has a lot to offer shoppers in terms of antiques and knick knacks. From suitcases and bags to clocks and trunks, the items you get here are a real bargain. Apart from shopping you can also admire the architecture of the structure. If you’re looking for traditional Indian designs in jewellery, then take a walk down this glittering road. 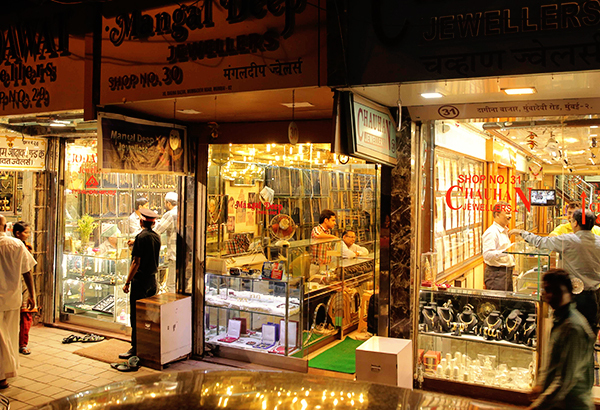 Even if you don’t plan on buying anything, it is a must-see area as Zaveri Bazaar is the hub for jewellery. Here you will find gold and silver items as well as gems and other precious stones. This colourful market is also known as Dadar’s saree market, this is one of the best places to shop for vibrant Indian fabrics. In this market you can find local wear such as sarees, salwars, suits, lehengas and sherwanis, all at wholesale rate. If you want to browse in peace, then visit here during the week as it can get crowded on the weekend. This is the best place to go to in the city for reasonably priced, good quality leather goods. Here you can find a range of items and some of the most popular include bags, leather jackets, wallets and shoes. Many of the shops allow you to bring in your designs and they will make it. While bargaining isn’t always encouraged, you can try your luck to score a good deal. This spice lane near Lower Parel railway station is a delight for the sense and is a popular spot for tourists as it shows off the best spices that region has to offer. Here you will find the freshest coriander powder, turmeric and nutmeg as well as copra or the dried coconut. Some vendors grind the spices just outside their store so you’re ensured of getting the best quality. These make for great gifts to take back home. This is one of the city’s oldest spice marts and it is located close to Crawford Market. 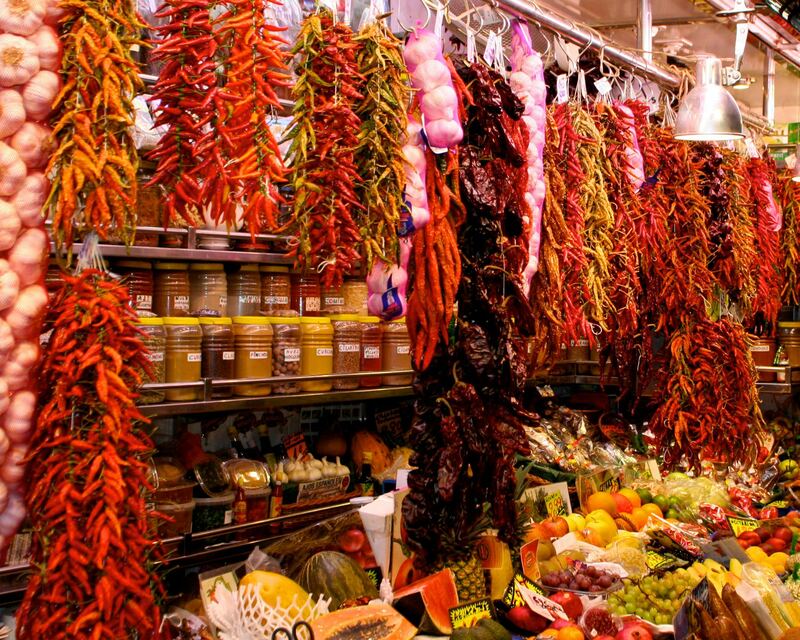 With an old world charm and store after store offering some of the spiciest and most colourful chillies, this market is must visit. Here you can find many dry chilli varieties available here include Kashmiri, Byadagi from Karnataka and Guntur from Andhra Pradesh, among others. Chillies in every colour and size are sold in bulk here too. This store is famous for its organic Indian produce. Here you will find a range of products such as spices and seasonings, local grain and flour mixes, wellness products and our favourite, their extensive range of raw sugars and honeys. Well packed and reasonably priced, these make for great presents to take back home and offer a taste of India. If you want to add a touch of Mumbai to your daily life, this quirky little shop is sure to please you. They have Mumbai inspired prints that are on everything from mugs and laptop sleeves to cushions and eye masks. Vibrant and bold, these designs are the perfect gifts to take back to your friends and family. If you’re planning a trip to this vibrant city, don’t forget to take a day or two just to plethora of shopping experiences (and adventures) this city has to offer. Tell us about your visit and purchases in the comments below.